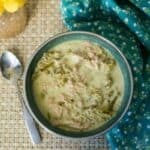 A pressure cooker low carb paleo white chicken chili that’s made in the Instant Pot or stove top. It’s a dairy free keto chili with a healthy vegetable snuck in. I’m using my Instant Pot a lot more these days. 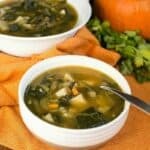 It’s perfect for making hearty soups and stews. In fact, I prefer it now over stove top cooking. 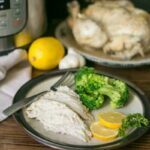 That’s why you may be seeing more Instant Pot recipes on the site. We’ve been having record cold temperatures over the last couple weeks. It’s been in the single digits and well below zero with the wind chill. 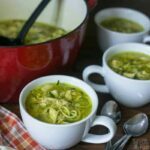 I made a batch of this pressure cooker low carb white chicken chili recipe to beat the cold. We got hit by a snowstorm last week. 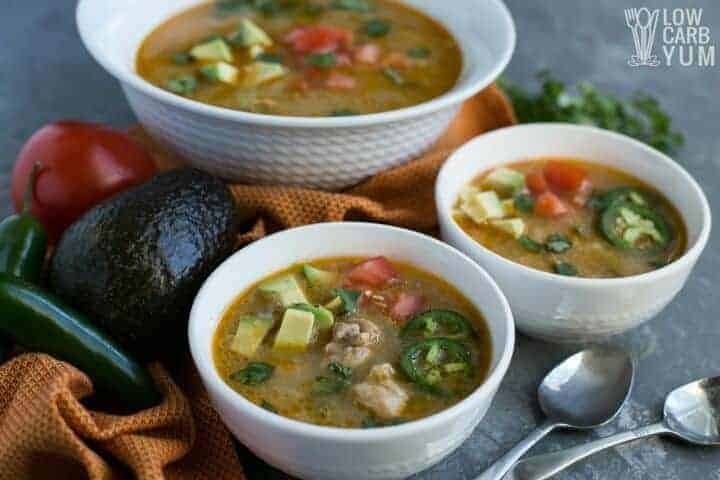 This keto chili was the perfect dish to warm up to after shoveling snow. Since I’ve been moving to a more paleo diet, I kept this pressure cooker chili dairy free. 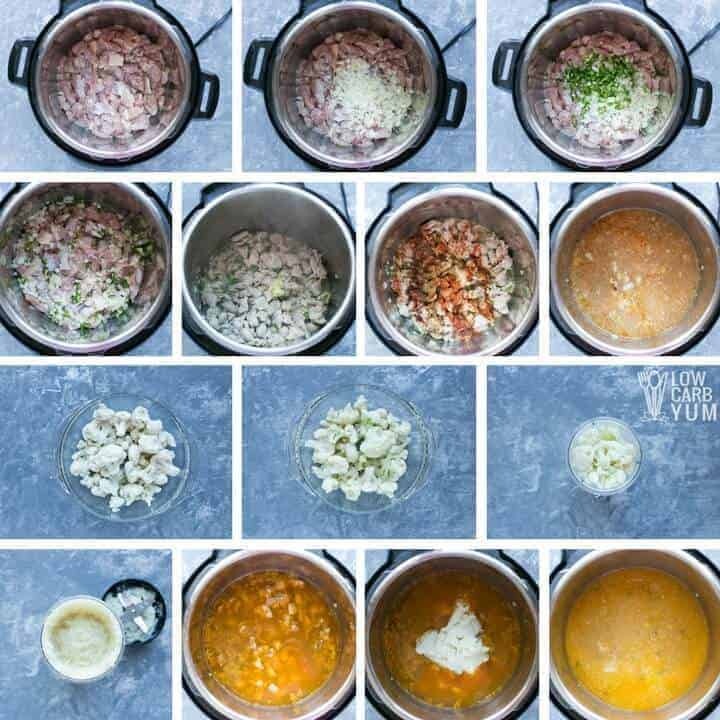 Some recipes for low carb white chicken chili add cream or cheese. I kept both of those out of this tasty recipe. Of course, if you aren’t trying to follow a dairy free diet, you could top off this keto chili with sour cream and cheese. However, I opted to top off it off with some avocado, tomato, and jalapeno. And, I didn’t even miss the usual dairy based toppings. The problem with dairy for me is the casein. The Thyroid Connection by Dr. Amy Myers M.D. 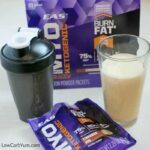 says that casein can aggravate thyroid conditions. I’ve been dealing with an autoimmune thyroid condition for over twenty years. But, I only made the connection between my diet and Graves Disease last year. 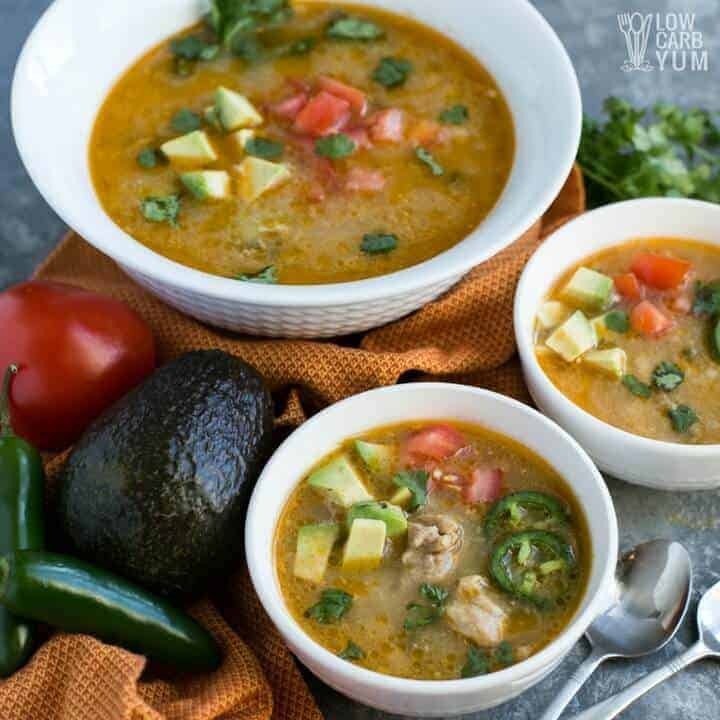 That’s why you’ll be seeing more dairy free recipes like this pressure cooker low carb paleo white chicken chili posted at Low Carb Yum. Following a keto diet has helped maintain my weight after radiation destroyed my thyroid. But, eating a lot of inflammatory foods like dairy has not helped my autoimmune disorder. And, I’m sure overeating nuts and seeds only made it worse. That’s why in 2018, I’ll be working on more autoimmune protocol (AIP) paleo recipes. 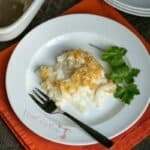 Although this pressure cooker low carb paleo white chicken is dairy-free. It’s not AIP friendly. 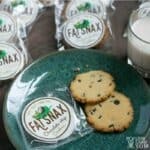 The reason is because it contains nightshades which can increase autoimmune activity. Nightshades include peppers with are a staple for keto chili. Tomatoes are a nightshade vegetable too. It’s believed that if you have any type of chronic inflammatory condition, it’s best to avoid nightshades. When I had a neurotransmitter test done last year, my results showed high auto immune. That leads me to believe that the condition that led to my Graves disease still exists. I’m hoping that I can reverse my elevated auto immune activity by making changes to my diet and things I’m exposed to. To see how things are working, I’ll be testing my neurotransmitter levels with a saliva test in a few months. 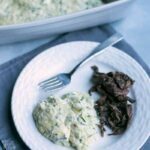 Want some more keto friendly pressure cooker recipes? Check out my Instant Pot No Noodle Lasagna and my Low Carb Vegetable Soup. 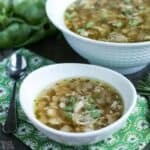 A pressure cooker low carb white chicken chili that's made in the Instant Pot or stove top. 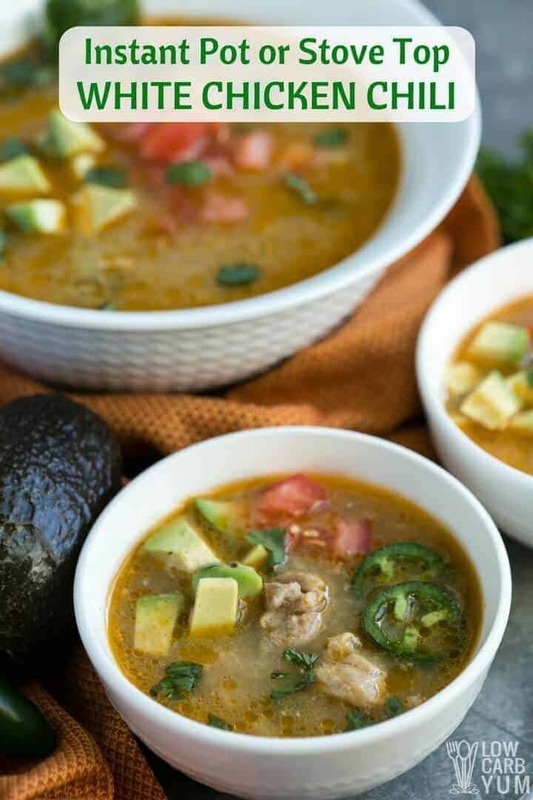 It's a dairy free keto chili with a healthy vegetable snuck in. Heat avocado oil on Instant Pot sauté setting then add in chicken, onions, and jalapeño. Cook until chicken is lightly browned. Add in garlic and sauté about 1-2 minutes more. Press cancel to turn off sauté. Stir in the broth, cumin, chili powder, salt, and cayenne pepper. Close the lid and shut the valve. Set pot to 10 minutes on high pressure. While chicken mixture is cooking, cook the cauliflower if needed. Then, puree it in a small blender or food processor. Set aside. When 10 minute high pressure cycle is done, open valve for quick pressure release. Once pressure has been fully released, open the lid. 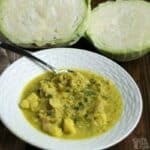 Stir cauliflower puree into the chili to thicken. Serve hot with optional toppings if desired. 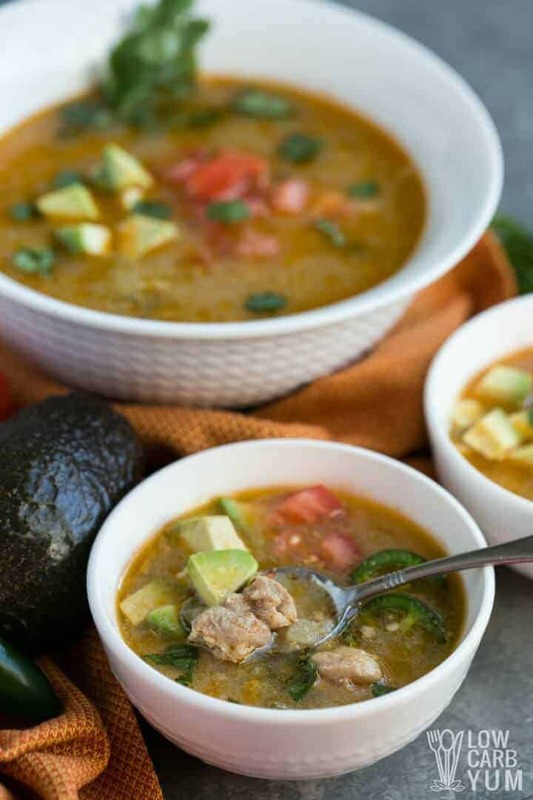 Heat avocado oil in large pot or Dutch oven. Add in chicken, onions, and jalapeño. Cook until chicken is lightly browned. Add in garlic and sauté about 1-2 minutes more. Nutritional data is with optional toppings added. Carbs are lower without toppings.